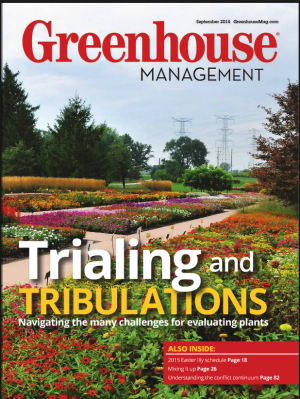 This article was originally published by Greenhouse Management Magazine for their August 2014 issue. Pdf of print article with photos linked below. It seems like there are more industry conferences and expos in July and August than there are weeks in the summer. As a result, where to spend your travel dollars and time, while still getting your work done, is an ongoing quandary for growers. Some shows, such as Cultivate and IGC are musts, but there are also many others that deserve attention. One such event is the Perennial Plant Symposium, held this year (July 28 – Aug. 1) in Cincinnati. 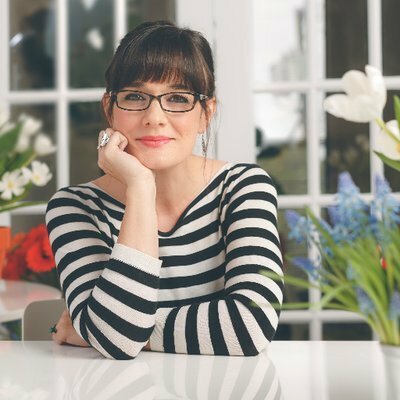 While many of the big shows focus on products, new annuals, marketing strategies, and in some cases, hard goods, if you’re a perennial grower, retailer, or designer looking for something more plant-centric to get your green juices flowing, this is your event. The symposium balances a solid lecture schedule with an intense tour schedule to fit each discipline’s needs. There’s also a small trade show where breeders and growers can share information about new plants. If you’re looking to do some serious networking and make plant connections, this symposium provides such opportunities. And because the event’s location changes every year (last year’s location was Vancouver, B.C. ; next year’s will be held in Baltimore), program content and tours stay fresh and dynamic. This year in Cincinnati, the lecture series featured Tony Avent of Plant Delights Nursery, who steamrolled through his giant list of the coolest perennials everyone should be growing; a forward- thinking panel (Dr. Stanton Gill, University of Maryland; Ellen Egan, Egan Gardens, a wholesale grower in Salem, Ore.; and myself), on neonicotinoid insecticides (neonics) and the need for more effective communications on this topic; Jeremy Windemuller of Walters Gardens, who shared best practices for producing finished perennials; Dr. Stanton Gill, who presented on invasive bugs that threaten perennial crops and the best alternative control measures; Angela Treadwell-Palmer of Plants Nouveau, who provided a look at European gardens and garden centers and their big perennial push; and Jerry Fritz, of Jerry Fritz Garden Design, shared how to maintain a thriving design business in a tough economy. This year’s symposium also addressed sustainability, with Sabrena Schweyer and Samuel Salsbury of Salsbury and Schweyer LLC. The duo covered topics such as green infrastructure and storm water management through landscape design. Mark Fisher of the Cincinnati Zoo & Botanical Garden discussed its green building program and sustainability movement. By the way, if you visit the Cinci Zoo, be sure to check out its solar panel covered car ports in the parking lot. In addition to its symposium sessions and trade show, PPA attendees look forward to participating in tours customized for growers, retailers, or landscape designers. This year’s stops included private gardens, public installations, and independent garden centers. Seeing new operations and gardens is a great way for staying inspired and energized after a frantic spring season. There are also two additional optional full-day tours of local landmarks, gardens, and parks. Another eye-pleasing feature of this trade show is the parade of perennial garden containers. Each year, mixed perennial container gardens are submitted and displayed at the show. Many contain new plant releases. These are auctioned off to attendees. Next year, there’s going to be a bigger push for perennials in containers at the event and the PPA plans to launch a new marketing campaign to promote the trend. PPA is also looking to attract younger (under 30) members and is offering this segment specially priced memberships. Also, several student scholarships are awarded each year to enable students to attend the symposium and make industry connections.